One of the most common questions I'm asked, by friends, family and readers, is how I possibly have time to blog alongside my job. If you didn't know, blogging is my bit on the side. Well, in actual fact my job is my bit on the side because Alice's Antics is the absolute love of my life. But for now, I'm squeezing blogging around my 3 hours of commute, and 7.5 hour work days. The truth is, whilst it takes organisation, I don't actually find fitting blogging around my life too hard. It's not a chore for me - if anything it's an escape. And that's probably the key to being able to fit blogging around your life, you have to want to do it. I mean, I could probably use that time to do something like go to the gym - but that is definitely not my first love. I try to fill my time so I have nothing 'spare'. My commute takes up 15 hours of my week at least, so I jot down ideas in my notebook, or write out full blog posts. I read my book, or listen to Harry Potter, but I don't ever spend it just sat mindlessly on my phone. The most important way to maintain a blog alongside your job, is to use up as much time as you can in your day. A lot of us want to switch off when we get home and that's completely fine, I hardly touch my laptop when I get home from work unless it's to actually post something. But it means I have to morph my 'traditional' work day into my 'blogging' work day. On my lunch break (where I am right now) I never fail to leave the office. Whether that's going off to sit in a park when the sun is shining, or popping into a cafe like today, I use my lunch breaks to create content for Alice's Antics or alternatively, I switch off so I'm willing to pick up my laptop when I'm home to write a blog. The biggest thing you'll have to accept when managing both a blog and a job, is that you're not always going to get content out in the same way full time bloggers do. We just don't have the time to polish tweets and schedule 7 posts a week. It's not feasible and it's how you'll fall out of love with blogging. Little, often and 10/10 content is what you need to focus on. As you start to get into a pattern with your work you might find yourself more able to manage your time (HOLLA 3 blogs in 3 days on Alice's Antics)! One day, I do hope to turn Alice's Antics until my full time job. I've always been quite clear about this, but to become a full time blogger you need to dedicate hours and money into your blog - money which ultimately, you'll need to get from another job. It is difficult, and it does take time and hours out of your day. If you want to write a blog purely for money, I'd advise you to look elsewhere as it's it's bloody hard and you'll grow bored if you aren't passionate about writing yourself. But if you are willing to put in the time, you'll reap the benefits. 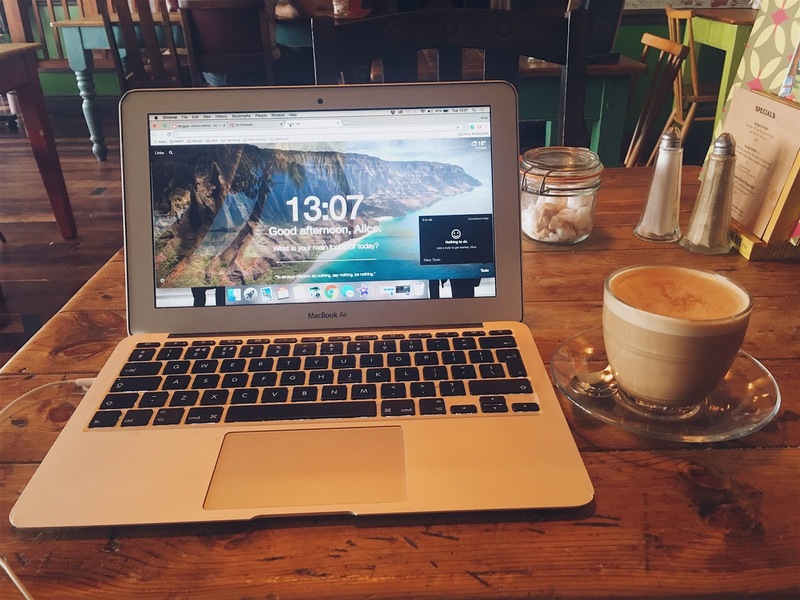 Don't let having a full time job put you off starting a blog!